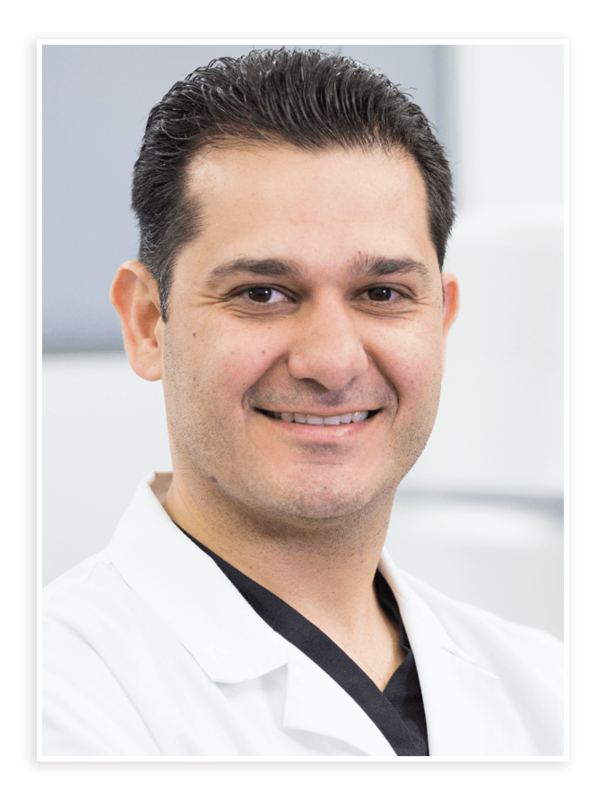 Dr. Moradian is a physiatrist, who is fellowship trained in Sports Medicine and Interventional Pain Management/Spine Care. He is triple-board certified in Physical Medicine and Rehabilitation (PM&R), Sports Medicine and Pain Management. Dr. Moradian’s clinical practice is devoted to the comprehensive care of spine, joint, muscle, tendon, ligament, and peripheral nerve disorders. He is proficient in performing advanced, minimally-invasive procedures under fluoroscopic and/or ultrasound guidance in the entire spine. Dr. Moradian performs electrodiagnostic testing (EMG/NCS) for the accurate diagnosis of muscle and/or nerve disorders. He has a special interest in regenerative medicine, sports concussions, neuromuscular ultrasound, medical education, and clinical research. His true passion is to treat his patients like his family and friends. Dr. Moradian attended medical school at the Pennsylvania State University College of Medicine (PSUCOM) in Hershey, PA. While at PSUCOM, he had the opportunity to learn from the interventional pain management team, lead by Dr. Gordin. He completed his residency in PM&R at Louisiana State University Health Sciences Center in New Orleans, Louisiana. During his residency, he completed 7 months of interventional pain procedures with various LSU PM&R/Pain faculty. Dr. Moradian received fellowship training in interventional pain management/spine care and sports medicine at Orthopaedic & Spine Specialists/OSS Health (affiliated with Sinai Hospital of Baltimore) under the guidance of expert interventionalist, Dr. Michael B. Furman and colleagues.